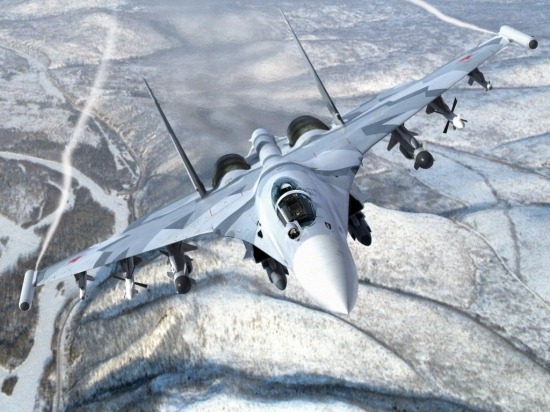 Sukhoi, the aircraft manufacturer, has produced a 4++ generation fighter called SU-35BM. 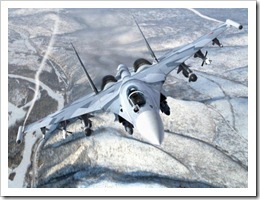 This model is a multi-role, long-range and heavy class aircraft, an improvement of SU-27M and the Su-35. Using modern technologies, Sukhoi modernized the existing SU-35 starting with the mid 2000s. The result was a fighter of the 4.5 type generation. Although the manufacturing company refers to its product simply as Su-35, sources have called it Su-35 BM, standing for Big Modernization. In August 2007, at the MAKS-2007 air show was first presented the new Su-35 and it operated its first flight in February 2008. The Su-35 BM has reduced radar signature and for the service life to last longer the airframe was reinforced. The new model has many improved electronic systems and avionics, among which a radar for rear looking used to fire missiles of the Semi-Active Radar type. The new cockpit has two LCD screens and it is compatible with displays that have helmet mounting. Improvements have been made in the targeting system based on long-range information. The software on the new Su-35 is compatible with the new weapon systems. It also has newer systems which are lighter and a navigation system controlled by satellite based on radio waves, called the GLONASS.